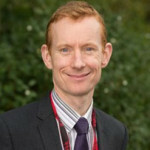 Colin is the Executive Faculty Leader of Maths at Harrogate Grammar School and has previously led substantial improvements as Head of Maths in four other schools. Colin has been actively involved in school to school support for over 10 years, latterly as a SLE for the Red Kite Alliance. He is also an NCETM accredited PD Lead. As Maths Hub Lead, Colin is responsible for planning and evaluating the Hub’s work, with the support of strategic partners, leading to the production of the annual Action Plan, annual report and Work Group plans. Matt is the Assistant Maths Hub Lead for the North Yorkshire Coast. 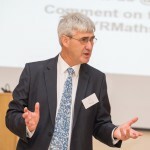 Working with schools in the region, he develops and supports local leaders of maths education to work with the Maths Hub, for example as Work Group Leads or Mastery Specialists. Matt is the Headteacher at Snainton Primary School and a Maths SLE for the Scarborough Teaching Alliance. 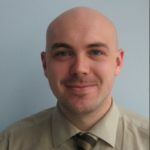 Matt is also a Primary Mastery Specialist and a NCETM Accredited PD Lead. Milica is the Assistant Maths Hub Lead for the East Riding. Working with schools in the region, Milica develops and supports local leaders of maths education to work with the Maths Hub, for example as Work Group Leads or Mastery Specialists. Milica is an Assistant Vice Principal and Maths Leader at Highlands Primary School in Hull; she is also a Maths SLE for Hull Collaborative Teaching School and a NCETM Accredited PD Lead. 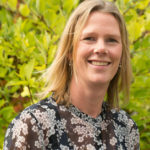 As the Maths Hub Coordinator, Sophie is the first point of contact for teachers and schools engaging with the Maths Hub. 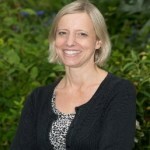 She works alongside the team planning and evaluating the work of the Hub. Sophie is also responsible for coordinating the Hub’s training and events and manages social media. As the Maths Hub Administrator, Isabel works with Sophie to support the Maths Hub team. She is responsible for all administrative tasks required in the day to day running of the Hub. David supports Colin in carrying out his role and in forming effective partnerships and networks with other leaders in the Maths Hub area. Kim is the Primary Teaching for Mastery Lead. 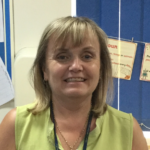 Kim co-ordinates all the Maths Hub’s Primary Teaching for Mastery Work, liaises with key system leaders (NLEs, SLEs) and provides support and development for head teachers in the Teaching for Mastery Work Group schools. 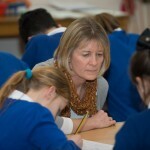 Kim is a MaST teacher, has worked as a Primary Mastery Specialist and is a NCETM Primary PD Lead. Kim travelled to Shanghai as part of the Maths Hub Exchange programme during 2016/2017. 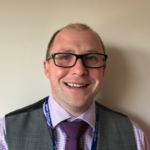 Based at Harrogate Grammar School, Mark is the Hub’s Secondary Mastery Lead and coordinates the Secondary Teaching for Mastery Programme. Mark provides support and development for the Secondary Mastery Specialists and works with local ‘Mastery Advocates’ running high-quality, sustained, collaborative professional development. Mark has been a Secondary Mastery Specialist since 2015 and is a NCETM accredited PD Lead. Steve has taught mathematics for over 20 years in a variety of secondary schools. After a brief spell as an assistant head he became an advanced skills teacher working with teachers in primary and secondary schools in York. 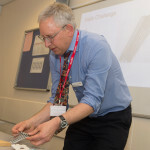 Since June 2012 Steve has been a mathematics specialist at the National STEM Learning Centre and is also an accredited NCETM Advanced Mathematics PD Lead. In his role as a Level 3 Lead for the Maths Hub, Steve leads the Maths Hub’s Level 3 Mathematics work by liaising and communicating with key partners in the Hub area. 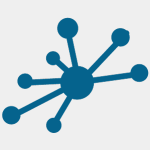 The Yorkshire Ridings Maths Hub is supported by a Strategic Board whose key role is to provide strategic advice, challenge and support to the Maths Hub leadership team. The Chair of the Strategic Board is Tom Roper from The University of Leeds.